Ariana Grande Knew Pete Davidson Was Going to Address Their Split on ‘SNL’ - celebrities life, news, blogs, photos, gossip etc. Pete Davidson did not blindside his ex-fiancée Ariana Grande when he spoke about their October breakup on the Saturday, November 3, episode of Saturday Night Live, multiple sources tell Us Weekly exclusively. “Ariana knew Pete was going to address the split on SNL, but did not know what he would say,” one source says. The Set It Up actor’s comments came about an hour after Grande released her new single, “Thank U, Next,” in which she name-drops him and her other ex-boyfriends. “Even almost got married / And for Pete, I’m so thankful,” she sings in the first verse. 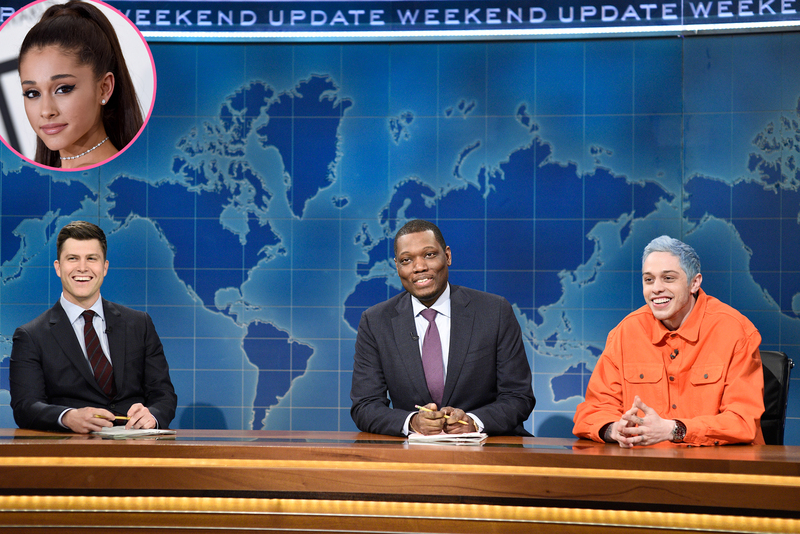 A source tells Us that the song did not affect Davidson’s planned “Weekend Update” remarks.